The SGM is a small device that plugs into the ColecoVision expansion port and increases the console RAM memory and sound capabilities. With the SGM you can run especially designed games that offer more complex gameplay than ever before. And of course arcade ports that play just like the real thing. Comes with professionally printed box, manual and catalogs. Packaging mimics the classic ColecoVision packaging design circa 1982/83, so it will match your ColecoVision collection nicely. How to order: Please send Paypal payment to eduardo [at] opcodegames.com. You will receive a confirmation email. Please allow 48 hours for the confirmation email (contact me if you don't receive the email by then). Price: $90US including shipping for orders within continental US. $95US to Canada. $105US International (sorry, USPS greatly raised international rates recently). Availability: I am aiming for December 2015. 200 SGMs will be produced, first come first served. Games already available: Thexdex (classic Transformers like action game), Rollerball (pinball game from HAL with 4 tables), King's Valley (action puzzle game from Konami), Dragon's Lair (ADAM's version now in cartridge), Super Zaxxon (ADAM's version now in cartridge). Those games have been released by Team Pixelboy and CollectorVision, so you need to contact them about order. Games planned for 2013/2014/2015: Donkey Kong (new port of the arcade game), Goonies (action adventure based on the popular movie), Knightmare (action shooter from Konami), Space Invaders Collection 10th Anniversary (enhanced version of the popular CV game), Twin Bee (based on cult Konami arcade game of same name), Ghostbusters (classic Activision hit from 1984), Penguin Adventure (sequel for Antarctic Adventure), Buck Rogers Super Game (port of the ADAM game, now in cartridge format), Lady Bug Arcade, Frogger Arcade. 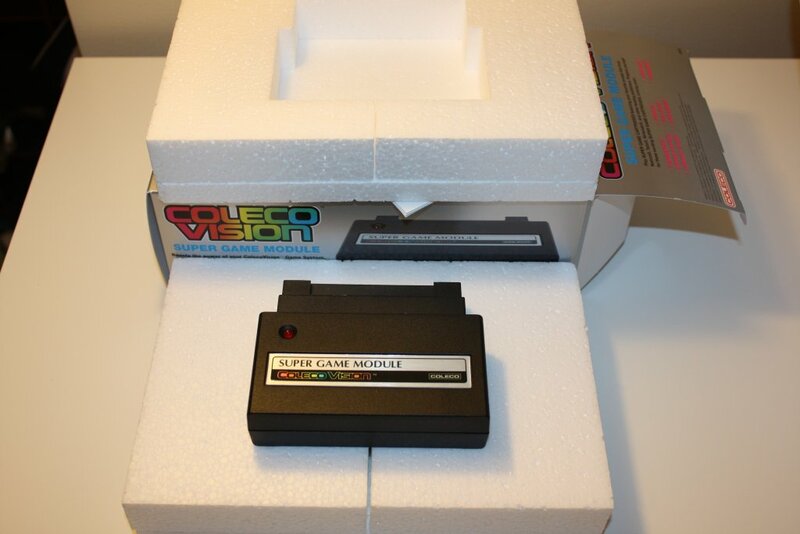 - Does the SGM improve my existing ColecoVision games? No, to take advantage of the SGM you need to use especially created SGM games. 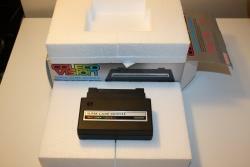 - Does the SGM have its own cartridge slot? No, SGM games are just like regular CV games and plugs into the CV cartridge slot. - Do I need to remove the SGM to play regular games? No, you don't. 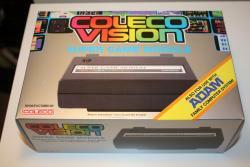 The SGM is compatible with virtually every ColecoVision game. - Can I use the SGM with my ADAM? - Why are you taking orders before the SGM is ready to ship? Why is it so expensive? The SGM project is very expensive. The total cost of the first run crossed the US$20,000 mark. Due to many unforeseen events, I was forced to put money out of my pocket to finished the project and now I am broken, so I need money in advance to pay for a new run. The SGM uses a custom printed board, plastic case and packing, all professionally designed and manufactured and thus very expensive to manufacture in low volumes. - Wasn't Donkey Kong supposed to be a launch game? Why has it been delayed to 2016? Unfortunately, due to time and budget constraints I was forced to delay the game to be able to concentrate on the SGM and most of the launch day games. - So is everything in place to start manufacturing of the SGM? Yes. Enough boxes and manuals were printed for 500 SGMs. Cases can be easily ordered now that we have the mold. We are still looking for a better supplier of the nameplates but that should be all sorted out in the next couple of months. 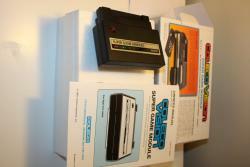 - Pictures show the unboxing of the SGM. You will receive all the items you see in the pictures. Orders so far: SOLD OUT. Edited by opcode, Fri Nov 20, 2015 8:35 PM. Just paid for my two!! BTW....half the text is invisible with the darker themes. Wonderful! I'll start contacting everyone on my Team Pixelboy customer records ASAP. I would like to reserve two please. I'll transfer money after I finish at work. What is the best way for foreigners to pay you? Paypal would be nice but I know your getting slugged doing it that way. I see now you already answered my earlier questions. Payment has now been sent. Payment for two SGMs has just been PayPal'ed to you. Thanks. Sorry, I am going to fix that. Need to ask Al for extended Edit permissions first. Payment sent. Now, for the hard part- waiting. I guess the good news is that we will have a better idea of the games that are really worth getting. Very true. Always look on the bright side. Got my confirmation, thanks. I look forward to it. I'm not quite ready to put the money down for one, but count me in regardless! I will mail the payment tomorrow morning. I need it to play Zaxxon Super Game and future SGM games ^_^. Thanks for the very long and detailed post you provided at the beginning of this thread. It answered many of my questions. 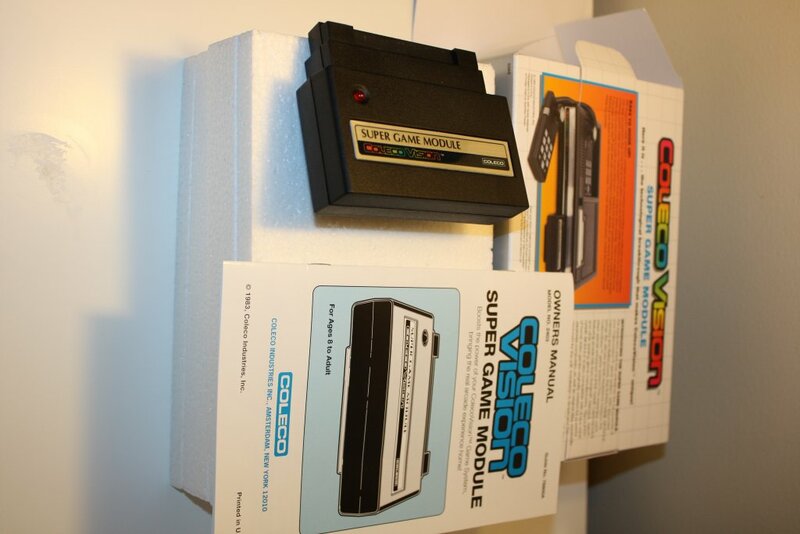 That is so awesome that the Supergame module is an officially licensed Coleco product. Are the Coleco Adam Supergames that were ported over to the Supergame module in cartridge form by Team Pixelboy also officially licensed Coleco games? I just had the time to check out the official Team Pixelboy webite . As a ColecoVision owner since 1982 and as a Coleco Adam owner since 1983, I am very happy to see that ColecoVision owners who never purchased expansion module #3 the Adam computer are now able to play some of the Coleco Adam videogames in cartridge form if they own OpCode’s Supergame module. Also I noticed that the Dragon’s Lair cartridge, Zaxxon the Supergame cartridge, and most likely in theory the Buck Rodgers the Supergame cartridge will not require the Supergame module if one plays the cartridge on the Adam computer system (The Coleco Adam games require the Supergame module for ColecoVision owners only). 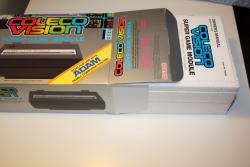 With a Micro Innovations 3.5 inch 1.44MB floppy drive connected to my Adam computer, I am able to play all the exclusive Coleco Adam games. All the Coleco Adam Supergames and many of the other Coleco Adam games have a hall of fame screen. One thing that is special about the Coleco Adam games that contain the hall of fame screen, is that the full name of the person and their high score was stored on a floppy drive or Digital Data Pack so that when the power was turned off the names and scores in the hall of fame screen would still exist. Also when one pushed the print button on the Adam keyboard the Coleco Adam printer would print out the hall of fame screen on paper so that one could keep a paper record of the hall of fame screen. It is my understanding that Team Pixelboy when porting over the Coleco Adam games ported over everything except for the hall of fame screen(correct me if I am wrong). Is there any plans in the future to re-release Dragon’s Lair, Zaxxon the Supergame, and the coming soon Buck Rodgers the Supergame with a cartridge that has flash memory so that the original hall of fame screen can be ported over? 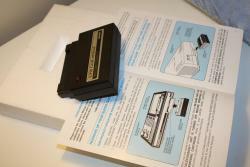 Adam owners could then print the hall of fame screen record from a flash cartridge, however ColeocVision owners would only be able to store the full names with high scores since no physical printer exists. Some ColecoVision owners might also like to see Team Pixelboy port over the following Coleco Adam games to a flash cartridge: Donkey Kong the Supergame, Donkey Kong Junior the Supergame (5 screen version), and Subroc the Supergame. Since I own an Adam computer I am going to hold off on purchasing the cartridge versions of the Coleco Adam games since I would lose the hall of fame screen feature. Since there are now some new exclusive games currently available and coming soon for the Supergame module, Adam owners will be interested in those new games. Edited by HDTV1080P, Sat Apr 20, 2013 10:52 PM.